Decentralized clinical trials: Are we ready to make the leap? Biopharma companies today are increasingly focused on the concept of patient centricity: incorporating the needs and perspectives of patients – and their caregivers – into clinical trial designs to make it as easy as possible for them to participate. But is the industry ready to take the next step and fully implement the ultimate in patient-centricity: “decentralized,” or virtual, clinical trials that allow patients to participate while almost never visiting a clinical site? Many sponsors are now embracing such trials, but many others are holding back. 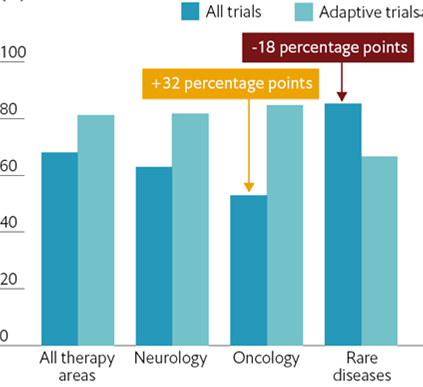 Recruiting and retaining patients for clinical trials has long been a problem. Currently, 85% of all clinical trials fail to recruit enough patients, 80% are delayed due to recruitment problems and dropout rates are high, says Rosamund Round Director, Patient Innovation Center at PAREXEL. “It’s no secret that the pharmaceutical industry is in crisis and the current clinical trial model is unsustainable,” Round says. Patient-centric trials, a relatively new approach, can help to address some of these issues. Recent studies have shown they have many benefits. For example, the “Future of Drug Development” study by the Economist Intelligence Unit found that patient-centric trials were much more efficient than others at recruiting patients. According to the study, which examined approximately 4,000 phase II and phase III trials, patient-centric trials took an average of four months to recruit 100 participants, versus seven months for all types of trials. The study also found that drugs developed using patient-centric designs were 19 percentage points more likely to be launched, compared to non-patient-centric trials (87% versus 68%). The statistics reveal that taking patient concerns into account increases clinical trial success rates. Geography, however, remains an issue. Currently, 70% of potential clinical trial patients live more than two hours from a study center, making participation in trials that require site visits less appealing. Next-gen technological innovations are just about ready to tackle this issue by enabling decentralized trials, says Nick Darwall-Smith, vice president, technology, at PAREXEL. Done right, using technology to reduce the number of site visits required to participate in a study would be “transformational,” Darwall-Smith says. But, he stresses, those innovations must be implemented in ways that are truly patient-centric. Accessible: If possible, use “bring your own device” (BYOD) technologies. Choose apps and devices that work with a familiar platform, one that patients already know how to use. With this approach, they will know how to install the app, how to open it and they will receive reminders on their personal devices. If it’s on a secondary device, he says, they may never look at it, or they may leave it at home when they travel. Robust: Some technologies are less robust than others. Pick the tools that are reliable and that are readily available when patients need them. There are additional issues that sponsors will need to address, as well. Many will want more explicit guidance from regulatory agencies before moving forward, and some sponsors might find it challenging to identify and validate technology vendors without causing delays in the study launch. Also, sending medication through the mail is illegal in some countries, so sponsors will need to employ specially-trained couriers. Finally, more real-time access to patient data and continuous data collection via wearables and sensors will mean a vastly increased volume of data for sponsors to manage. Ultimately, the potential value for all stakeholders is high. Patients will find it easier to participate in studies, and they will learn more about their own health. Clinical trial sites will see reduced workloads and faster patient recruitment, in addition to providing patients with a positive experience. And sponsors will be able to take advantage of a much larger patient pool, plus see better patient retention rates – all of which should lead to faster product launches and market advantage over the competition. He adds: “This is the new world and it is the current challenge for the industry. Ultimately, we want to change the way we are running clinical trials."